All photos by Phil Galewitz. Want to make fast friends at your next holiday party? Bring along some Christmas beers. 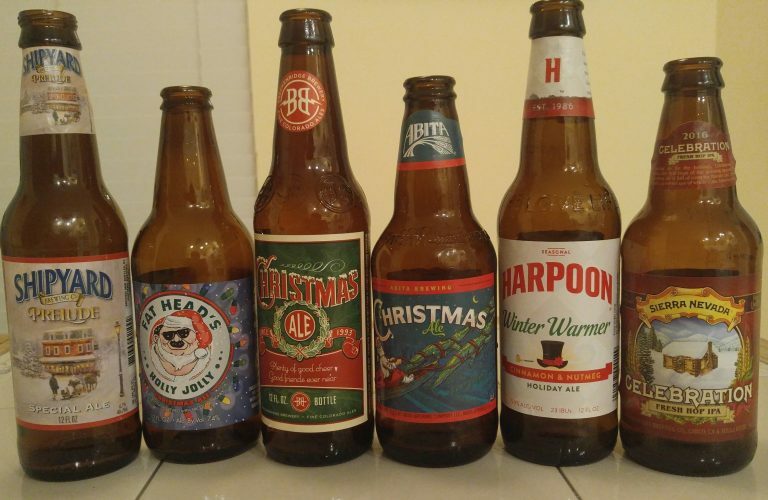 Typically, you can count on these holiday themed beers to have spiced flavor that warms the insides on a cold winter day. Cinnamon, nutmeg, allspice and even pine are among the ingredients brewers often-- but not always-- use in these seasonal concoctions. But that doesn’t mean all Christmas beers taste alike. While many holiday beers have Christmas Trees or Santa Claus on the label, some don’t even have the word “holiday” or “Christmas.” Indeed, there is no one definition of holiday or winter style beer, according to the Brewers Association. Rather they often get entered in beer competitions in the Herb & Spice or Specialty or Fruit category. With a plethora of new craft brewers means an even larger assortment of holiday beers on the market this year with styles that run the gamut from India Pale Ales to malty lagers to dark stouts aged in bourbon barrels. That’s the beauty of holiday beers - if you try one and don’t like it, try another. No two are alike. Let me tell you about some of my favorites. The Middleburg Heights, Ohio brewery has been cooking this spiced ale since it was founded in 2009. Its sweet malt, ginger and honey and cinnamon give it the flavors of Christmas. At 7.5% alcohol by volume, it’s a perfect mix of bold tastes without being too heavy. The spices, malts and grains provide a wonderful aroma. The beer pours a nice brown with a soft white head. If you’re new to Christmas beers, its hard to come up with a better start than this. “Smooth and pleasant tasting” is how my friends best describe this beer. This seasonal beer from Boston’s largest brewer (yes, very little of Sam Adams beer actually comes from Boston), has been made since 1988. The folks at Harpoon say the bottling of the ale is their first sign of approaching holidays. Mine, too. “From the label to the aroma to the flavor, it all reminds us of family get-togethers, and the beers that help make the holidays so festive,” the brewery says. Cinnamon and nutmeg dominate the aroma. The taste is a rich combination of holiday spices and the hearty malt backbone. There is a mild sweetness to the finish along with the lingering flavor of the spices. Some friends even say it tastes liked gingerbread in a glass. Strong notes of ginger, cinnamon, nutmeg, and clove though no one spice dominates. Hardly no hop tastes at all, which should please some. An icon for the holiday season, Breckenridge Brewery has brewed Christmas Ale using the same recipe since it was first introduced in 1993. 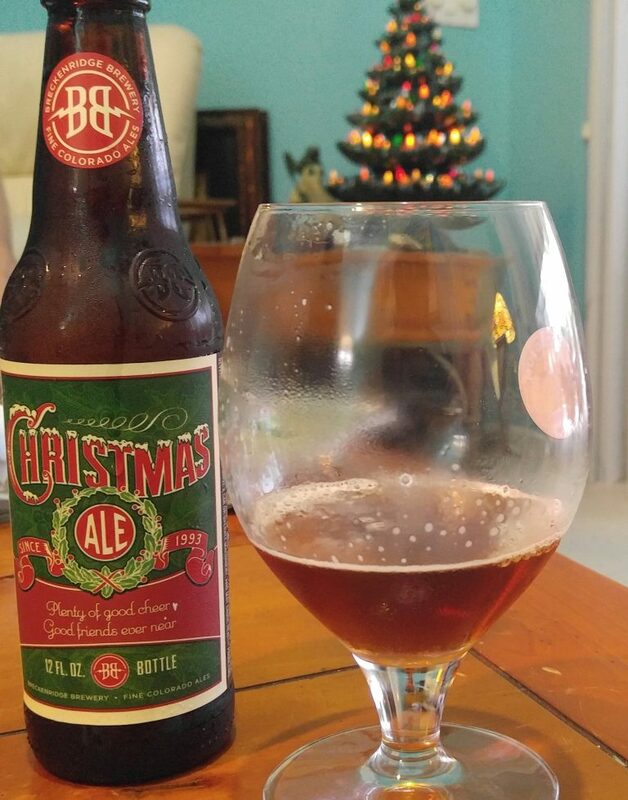 At 7.1% ABV, Christmas Ale is a strong ale with rich flavors of caramel and chocolate from roasted malts. Unlike other holiday and winter beers, Breckenridge Brewery in Colorado does not add any spice to Christmas Ale, rather the spicy characteristics come from the Chinook and Mt. Hood hops. The Christmas Ale pours a beautiful toffee caramel chocolate body. Sipping this, you’ll first notice the yeast, with spices including nutmeg, allspice, gingerbread, and cinnamon. There's a distinct citrus note and hop sharpness that pokes through. For the 2016, Breckenridge Brewery is taking Christmas Ale national. “People look forward to our annual release of Christmas Ale because it marks the start of the holiday season,” said Todd Usry, president of Breckenridge Brewery. Its an American style IPA that pours darker than most IPAs and has a nice spicy citrus aroma. The hop taste, which gets balanced with sweet malts, gets overtaken by a pine aftertaste that makes you think about being out in the woods or under a snowy Evergreen tree. Overall this is a very refreshing and tasty IPA even if hoppy beers are not your first choice. Richmond, Va. is known for a lot of things, including Patrick Henry’s famous “Give me Liberty or Give me Death” speech. But when it comes to beer, the city known as RVA is the place that gave us Hardywood Gingerbread Stout. The seasonal beer helped put Hardywood Park Craft Brewery on the map after it was founded in 2011 and each year it keeps getting better. Made with locally produced baby ginger and wildflower honey, Hardywood Gingerbread Stout is a rich, creamy libation with a velvety mouthfeel and notes of milk chocolate, vanilla, honeycomb and cinnamon and it offers a snap of ginger in the finish. Its great anytime but a better dessert beer is hard to find. This is not a beer best enjoyed ice-cold. Rather, pour it into your glass, then let it sit for a few minutes before you take the first sip. Your patience will be rewarded, and anyone lucky enough to share your bottle of Gingerbread Stout will instantly put you on the “nice” list. Be on the lookout for special editions of Gingerbread Stout aged in bourbon barrels for an even more refined taste. A Scottish style ale makes this one a little different than most holiday ales. It has more of a hop taste than spice with a mild mouthfeel that leaves a pleasant aftertaste. Not sure what makes this a holiday brew but its smooth, malt-driven taste from the famed Michigan brewery makes it highly drinkable, particularly at 5.5% ABV. The subtle holiday spices including nutmeg, clove and ginger, meld evenly with the strong malt backbone to provide an easy tasting Christmas beer. A moderate bitterness rounds out the finish. 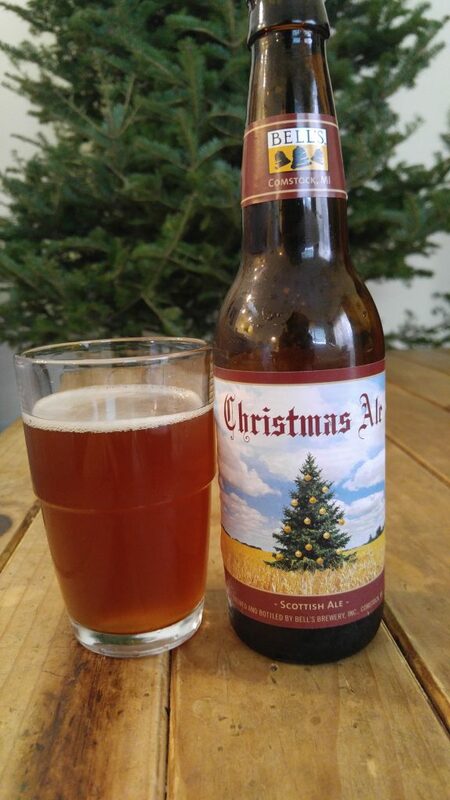 On the palate, it’s dry and surprisingly bitter, without the fruitiness, sweetness or spice one typically expects from a classic American Christmas ale. What also attracts me about this beer? The Louisiana brewery has a gorgeous label of Santa being pulled into the sky — not by reindeer — but by a pair of alligators. Samuel Adams Brewing (Nitro Brewery Of the Year in the 2016 NY International Beer Competition) offers so many winter/holiday time beers it’s not fair to have to pick just one that I’d want under my Christmas Tree or menorah. So I chose two. I first poured the Chocolate Bock in early December for a fellow bed and breakfast traveler in South Carolina and he was blown away by the chocolate flavor. I only smiled knowing I made a new friend. It's smooth, rich and dark with the robust flavor and creamy texture of chocolate. This subtly sweet brew is aged on a bed of cocoa nibs, giving it notes of honey, chocolate, and vanilla. Sam Adams partnered with Scharffen Berger Chocolate, which is part of Hershey’s, to develop this dark beer that combines strong malt flavor with the sweetness of chocolate. Old Fezziwig Ale – This full-bodied brown ale has a complex and smooth malt character, ranging from sweet toffee and dark caramel to chocolate and roasted malt notes. The brewers at Sam Adams call Old Fezziwig Ale the "Christmas cookie of beers" because the malt character combined with traditional holiday spices make every sip taste like a holiday cookie. Best on a cold night, the spiced brown ale is brewed with a blend of cinnamon, ginger and orange peel. At 5.9% ABV, Old Fezziwig finishes with a lingering malty and spicy flavor. This beer was inspired by Old Fezziwig, a character from the novel A Christmas Carol who is a happy, spirited character in contrast to Ebenezer Scrooge.